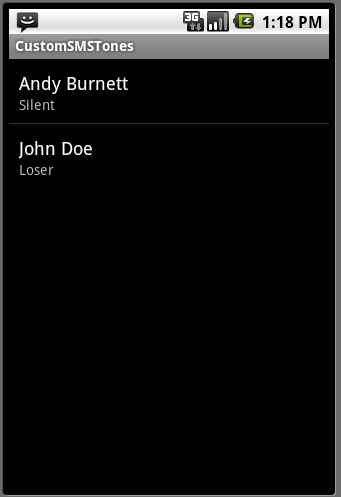 Roadkill Software's first Android Application (Android 2.1 and greater) allows you to set custom text (SMS) tones for contacts in your contacts database. Use the "Settings" menu item to set up/change the default SMS Tone and to select the types of Tones you want to use for alerts. You can also limit the amount of time the app will play back tones. Select "Add New Contact" from the menu to open the Contact selector, select a contact to add a new SMS tone, and then select the tone from the list of available tones on your phone. 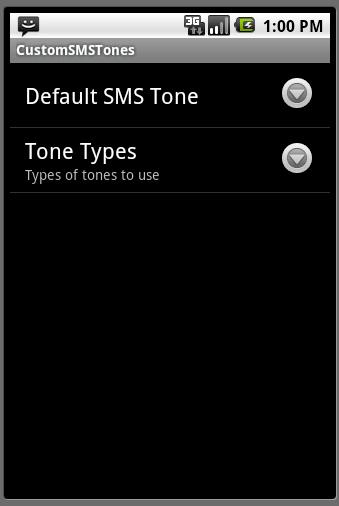 This application does not allow you to install or download any new tones, it will only use tones already installed on your phone. 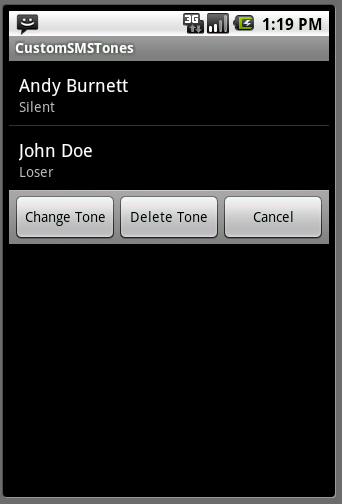 Once you have contacts and tones defined, click on a contact name in the list to either modify or delete that contact. 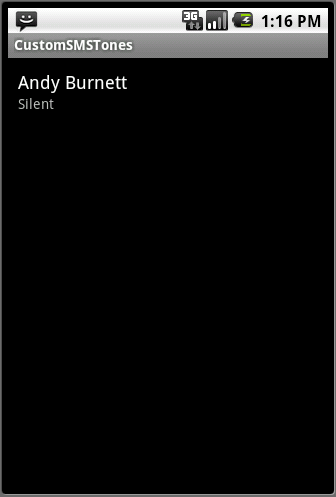 If you do not want to be notified when certain contacts text you, simply set their tone to "Silent" from the ringtone list. 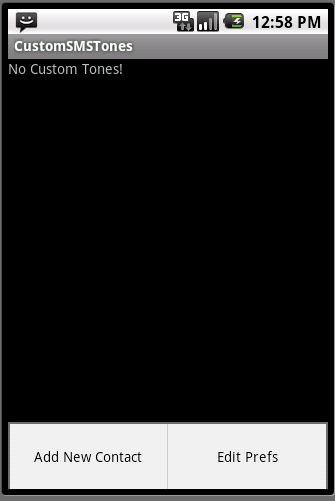 01/24/10: after running the application once successfully, the application now force closes on launch. Please contact software@roadkill.com with any comments or questions.